You probably know Brec Bassinger from Bella and the Bulldogs, but the Nickelodeon star recently guest-starred on School of Rock — and her character Kale was definitely a departure from football-playing Bella. The shows are totally different (but equally fun), so it's no wonder that the sets are different too! 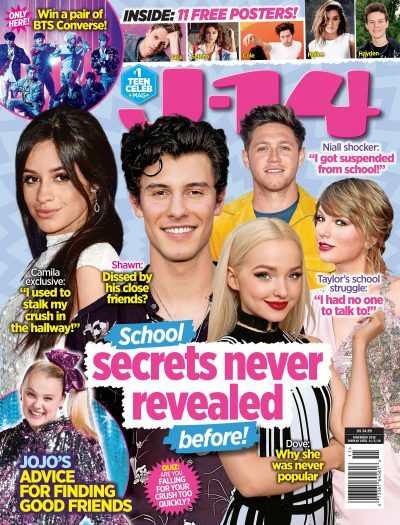 While J-14 reporter Liam McEwan visited her on the School of Rock set, the actress opened up about the differences between the two sets. The verdict? "There's no football on this set. During our breaks, we'd always go and play football. And here, we don't do that. We sit on that red couch over there…It's really comfortable, so we'll listen to music and hang out and it's fun," she told us. Watch the interview below, and let us know if you're excited for the season in the comments!